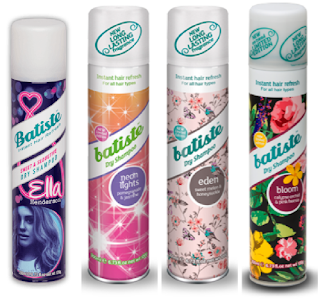 WIN #3: A Year's Supply Of Dry Shampoo From Batiste! Win a year's supply of Dry Shampoo from Batiste worth £41.08! For over 40 years, Batiste have been using their expertise to help women have fabulous hair every day! That's why they've created a range of products for use between washes when you need a quick fix, but still want your hair to look amazing! Whatever your hair style, type or colour, they have the product for you. At the heart of all Batiste Dry Shampoos is an innovative starch based ''no water needed'' formulation. Adapting to your hair's needs, it targets excess oil and grease, helping to eliminate it at the roots. Boosting body it gives dull lifeless hair the makeover that it deserves without water. Just spray, massage in and style! The products in the Batiste Revitalise It range contains amazing fragrances for hair that smells as great as it looks. For the ultimate volume boost, their Oomph It range is the one to go for. Strength and Shine Dry Shampoo with L-Arganine in the Nourish It range is perfect for refreshing dull and tired hair, whilst Smoothing Conditioning Mist is enriched with the naturally moisturising and nourishing Argan Oil and is for the mid length & ends. The Hint of Colour products are colour tinted, so they blend seamlessly, whatever your hair colour. 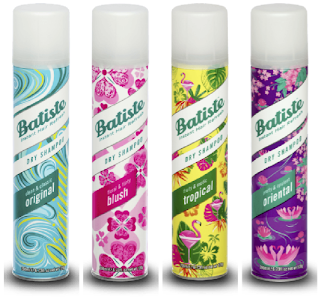 WIN a year's supply (12 cans) of Batiste Dry Shampoo! One lucky winner will win the following products (all 12 products pictured within the post). Eden - Exclusive to Superdrug. Please note: You must at least follow/like Unique Young Mum, Batiste and JWPR on at least one social media platform! 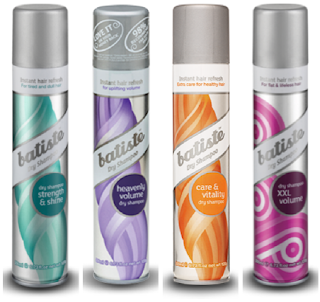 To find out more about Batiste and to see their full range, check out the official website here.